The Alert Console is the tool by which all active alerts are managed (stopped, restarted, canceled, reviewed, etc.). 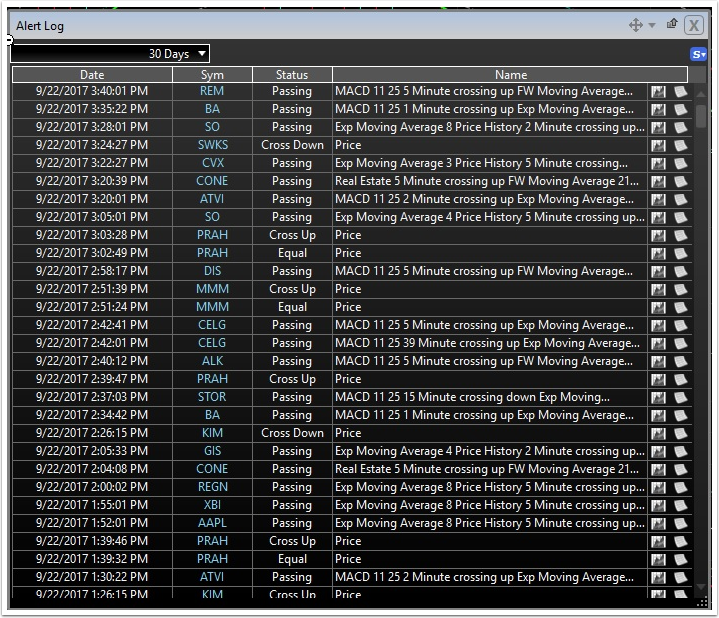 It is also where historical alerts are logged and viewed. Viewing the complete historical log of Alerts also allows alerts to be restarted and reviewed. Here are details about using the Alert Console. 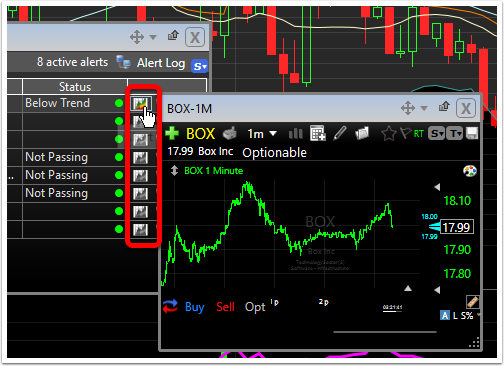 Opening the console: Click the Alerts button in the ribbon Menu and select Alert Console. Console header: create a new alert, set notification criteria, show inactive alerts, # of active alerts being monitored, view the Alert Log. 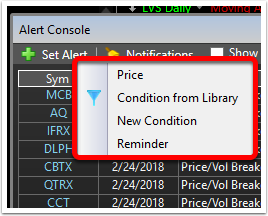 Alert basics: alert symbol (click to change main chart to that symbol); time created; alert type; status (how is the stock related to the alert); status light (green = actively being monitored; yellow = waiting to restart; red = triggered and complete). Follow the remaining steps to complete the desired alerts. 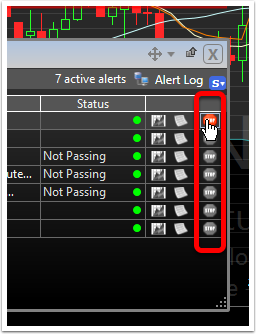 Click here to learn how to setup the different alert types. 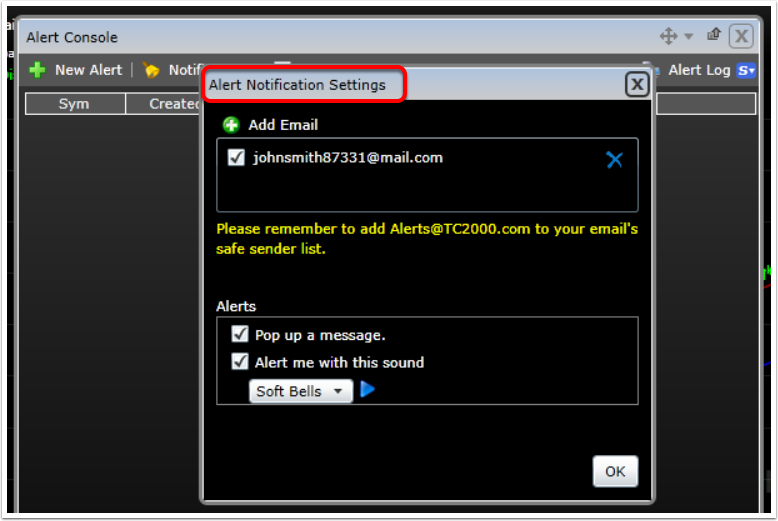 Follow the steps for creating email, text, audio and/or pop-up alerts. Click here to learn how to set up these alert notifications. Put a checkmark next to Show Old Items. This shows a history of the alerts. Scroll down to view all alerts. To restart any alert, click the restart button in the alert row. A new copy of the alert is started and it becomes an actively monitored alert again. 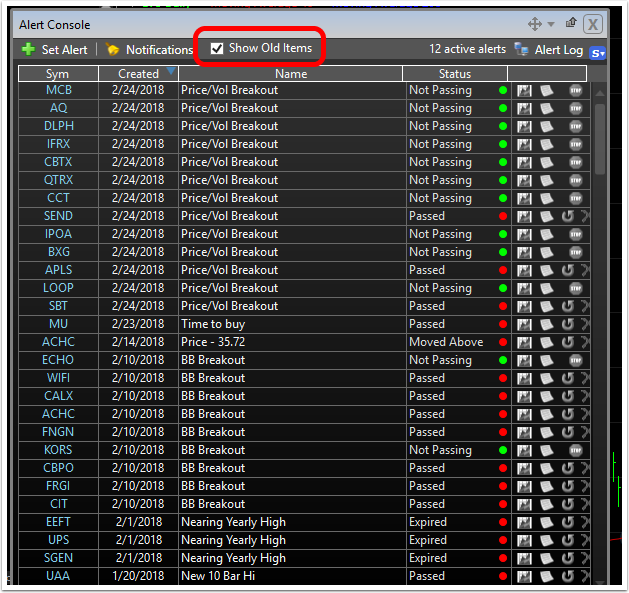 All of the functions of the row work on older alerts just as noted above for active alerts. Click the Alert Log icon to open the historical alert log. Select the time span for which the alert log is to be viewed. 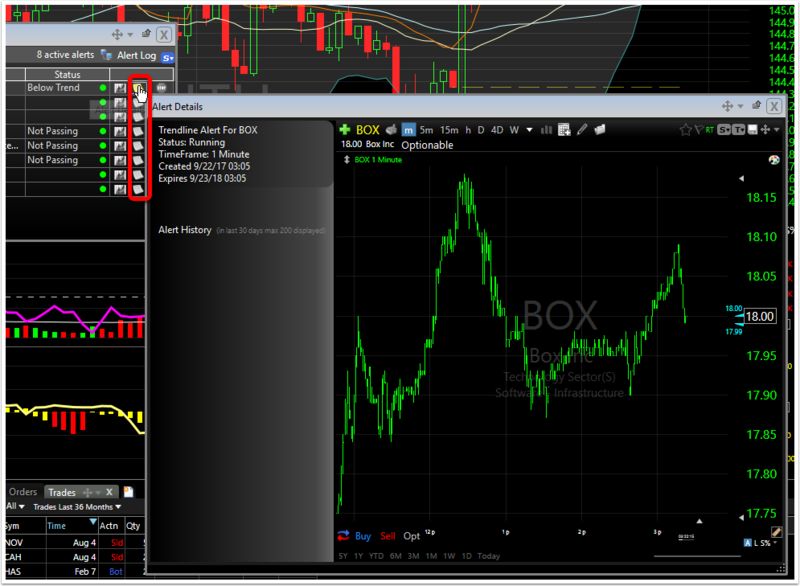 You now view a historical log of the alerts over the time span selected with relevant details of each alert.